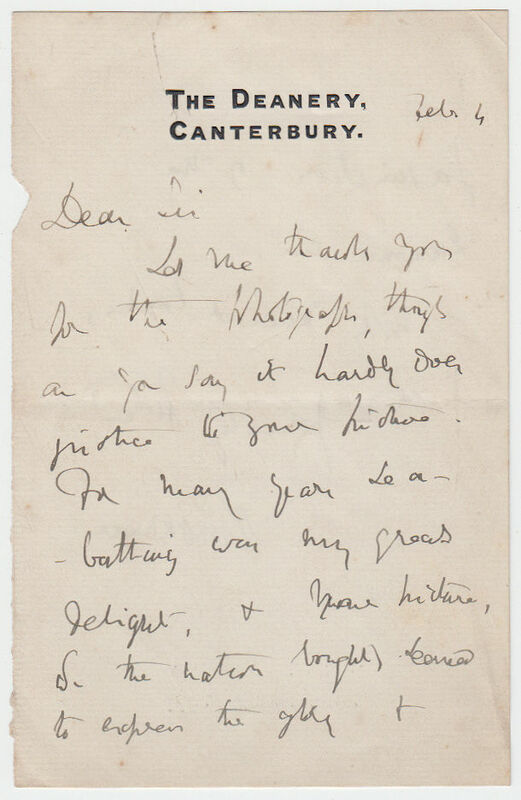 Autograph Letter Signed, expressing admiration for a picture, because ‘For many years sea-bathing was my great delight’ and the picture ‘seemed to express the glory & fascination of the summer sea’. 2 pp. 8vo, small blank piece excised at left margin, otherwise good. The Deanery, Canterbury, 4 February [after 1895]. Frederic William Farrar (1831-1903), Dean of Canterbury and author of ‘Eric, or Little by Little’.